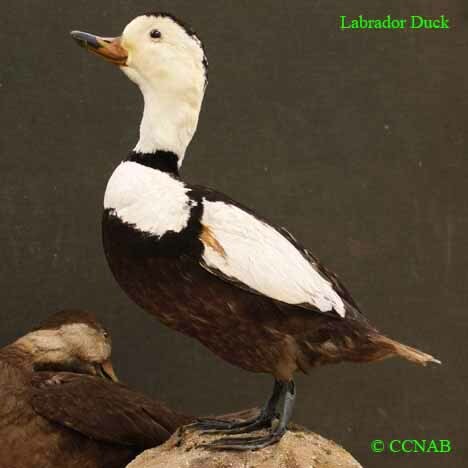 Image of the extinct Labrador Duck is courtesy of the Canadian Museum of Nature, Aylmer, Quebec, Canada. The Labrador Duck was seen from the northeastern US states up into northern Quebec. This depended on the time of the year. It was only known in the St. Lawrance Gulf and along the Atlantic coast. It was sometimes sold in markets as wild game food. Records indicate, that it went extinct in North America sometime in the 1870's. There is no real explanation for its' demise.